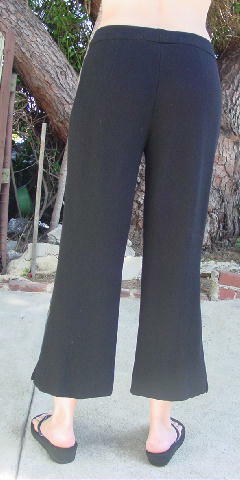 These black 100% new wool pants were made in Hungary by Escada. The surface has a high-low texture. There is a 5" long zipper fly, a 1 3/4" wide waistband with a hidden two hook closure, and an interior clear button. 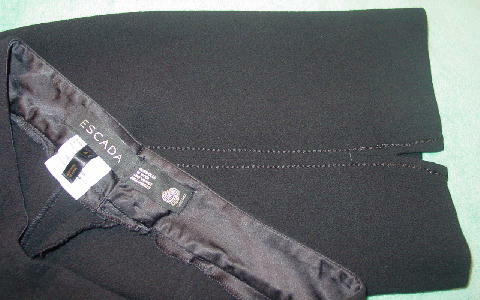 The side seams have decorative thick black stitching on each side of the seams. 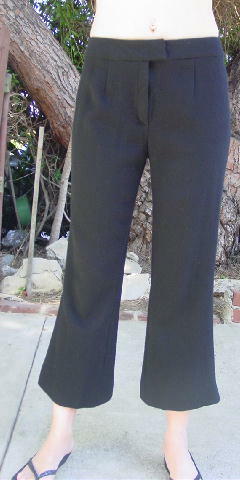 The bottom leg seams have 1 3/4" long slits. The tag says 44, but they fit like an American size 10. A French actress wore them in a magazine photo shoot.